Most of the items on my wish list, I will not be purchasing until September when I will take a break from wearing crochet braids. 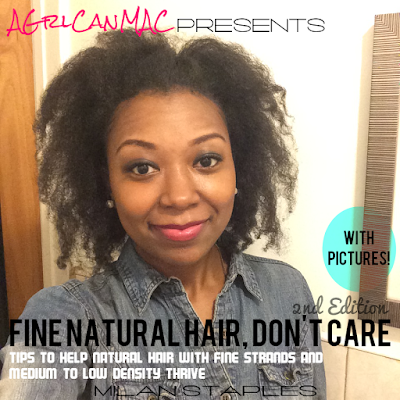 I have used the Sweet Nature by Eddie Journey Hair Milk in the past (year 2 being natural) with great results. I'm ready to return to it, it always did right by my hair. I plan to buy and try the Shea Moisture sugar wax by the end of the week for my legs, underarms and to help me maintain my Brazilians in between visits (if you're like me a week later the hair is growing back!). I'm excited to get a flat iron, I'll be straightening my hair for the first time since I went natural, this December when I'll be happy to report that I made MBL. #claimit It's time to revel in the versatility of my hair more. 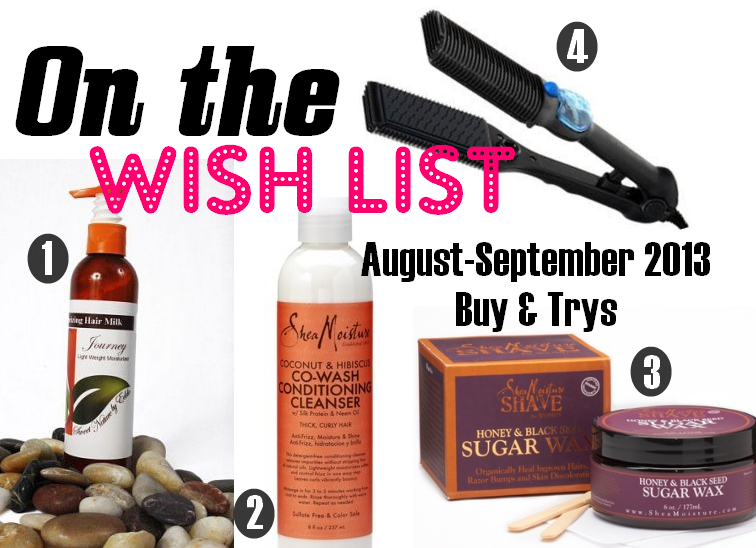 What's on your hair and beauty wish lists?